Box, which has raised more than US$300 million in funding since its founding in 2005 from investors like Draper Fisher Jurvetson and Andreessen Horowitz, now has a roster of more than 150,000 customers with more than 15 million end users. "I wouldn't expect us to go public this year, but it's something we're certainly thinking about and talking about over the next couple of years," said Aaron Levie, the company's wunderkind co-founder and CEO, who is 28 years old. "We don't have a specific timeframe [for the IPO] because there's so much we're investing in from a growth standpoint, but it's something we're very aware of and sensitive to," he added. One area of growth the Los Altos, California, company is focusing on is its international expansion. A little over a year ago, Box launched a formal push to boost its sales abroad with the opening of its European headquarters in London, and Levie said that the results have exceeded expectations. "The international opportunity is huge for us," he said. 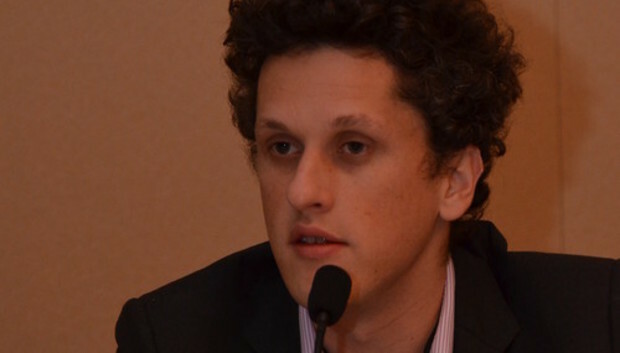 Having gained a solid footing in Europe, Box now has its sights set on Japan, and the goal is to push the company's percentage of international revenue from below 20 percent of its total today to between 30 and 40 percent over the next few years. Of course, rivals aren't giving Box a clear path to the basket. The company faces a variety of competitors, including storage and file-sharing specialists like Egnyte, YouSendIt and Dropbox, as well as cloud collaboration players with their own competing products like Microsoft with SkyDrive and Google with Drive. "We have a very long roadmap around collaboration and [file] sharing and how people can work with their data and content," Levie said. "We're very early on that roadmap. What you see today is not how the product will look in six or 18 months." Two recent acquisitions give an idea of what's to come. At the time, Box officials said that the Folders technology will be meshed with Box's iOS application and upgraded later this year. Folders includes a PDF viewer, a music player, document, photo and video viewers, a photo and video recording tool and the capability to create and edit notes. "We're making a significant push right now to ensure we have the absolute simplest experience around managing and consuming content," Levie said. He's convinced that the attractiveness of the Box service will continue to rise along with the popularity of cloud-based business software, which is creating an ever-growing number of fragmented content and data silos across applications. "Customers have gone from using a dozen or half a dozen [cloud] services or apps in their business, to using hundreds, so there is going to be even more demand for centralizing your business content at once within Box, and being able to extend that content to all of the apps you're using," Levie said. "We want Box to be the underlying platform where that collaboration and content sharing happens, so we have to invest directly in apps that will drive that as well as in platform functionality that will create those experiences," he added.